Snuggle up with this cute cat! 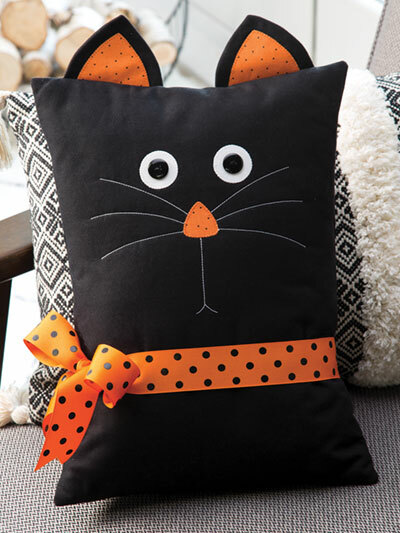 This pillow makes a quick and easy decoration for the season, and it's fun too. 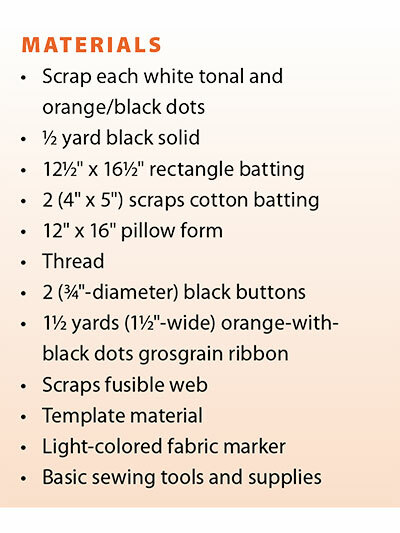 This pattern was originally published in the autumn 2018 issue of Quilter's World magazine. Finised size is 12" x 16", excluding ears. I haven't made this cute pillow yet, but I know it will be fun! I might make it so that you can change the ribbon for each season/holiday! That way you can leave it out year round! I have a black cat named Batman.....my inspiration for this project!